For each new moon I cast an I Ching Gua – a six-line hexagram composed of open and closed lines. I do this using the yarrow stalk method. I do this to capture the nature of the moon’s energy and what she will bring to us in the way of benefits, changes, guidance and vibrational tone during the month ahead (moonth). The moon was new (exactly conjunct the sun) in the sign of Cancer last Friday at 4:10 AM Eastern time. She is now waxing and as this is the third day after the conjunction look for her smiling crescent on the western horizon this evening, just after sunset. 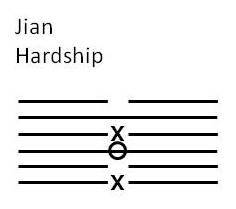 The initial Gua I cast for this month is Jian, which means “Hardship” according to my main reference, The Complete I Ching by Taoist Master Alfred Huang. I have included a picture here. The first thing to notice is the three changing lines in this initial Gua. There are two 6s (Yin) and one 9 (Yang). In this situation Master Huang suggests reading only the middle line, in this case the 9 which then changes to a 6, an open Yin line. With all these changing lines I think we can expect July to be a month of some change. But I don’t think this is necessarily a concern. The second thing to notice is the initial Gua, “Hardship” follows Kui or “Diversity” in the order of the hexagrams in the I Ching. Diversity was the accomplished Gua from the previous New Moon Divination (link). Master Huang observes that Hardship can arise out of Diversity. The new Gua is pictured here. This accomplished Gua overcomes the hardship indicated by the initial Gua. 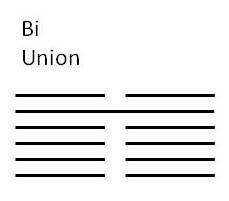 Union is about love and harmony within a group of people, especially within one’s intimate relationships. To understand and strengthen these relationships this divination suggests that we go within ourselves to find the love and harmony. Then extend and reflect the inner love to the outer, close relationships. Choose wisely here. There are those who don’t necessarily want to be in relationship. Loving relationships can’t be forced. Release those who wish to go their way. PS: My friend and astrologer, Gloria Hesseloff, writes this about the New Moon in Cancer: “Cancer brings up in all of us a yearning for a safe haven. The Cancerian feminine force calls us back to home and family. Give birth to new forms. Cultivate life. Cooperate. Be creative. Build community.” And she adds: “Life seems more mysterious than ever and Cancer energy invites us to probe deeply into our inner experiences, pressing toward the heart. A Cancer period is a time to penetrate the dimensions of our inner life.” This certainly sounds like a time for Union and for inner seeking. Astrology supports the I Ching in a most satisfying way! The moon is new today, Friday, June 27. She is exactly conjunct the Sun at 4:10 AM Eastern in the sign of Cancer. As my readers know I pay close attention to the moon cycles. Just after the New Moon, sometime today, I will cast an I Ching Gua to “read” the energies for the coming month using this ancient Chinese method of divination. I’ll post my results here on Monday. Meanwhile here is a reworked poem from four years ago. Yes, I was celebrating New Moons back then too! Casting love in the bargain? 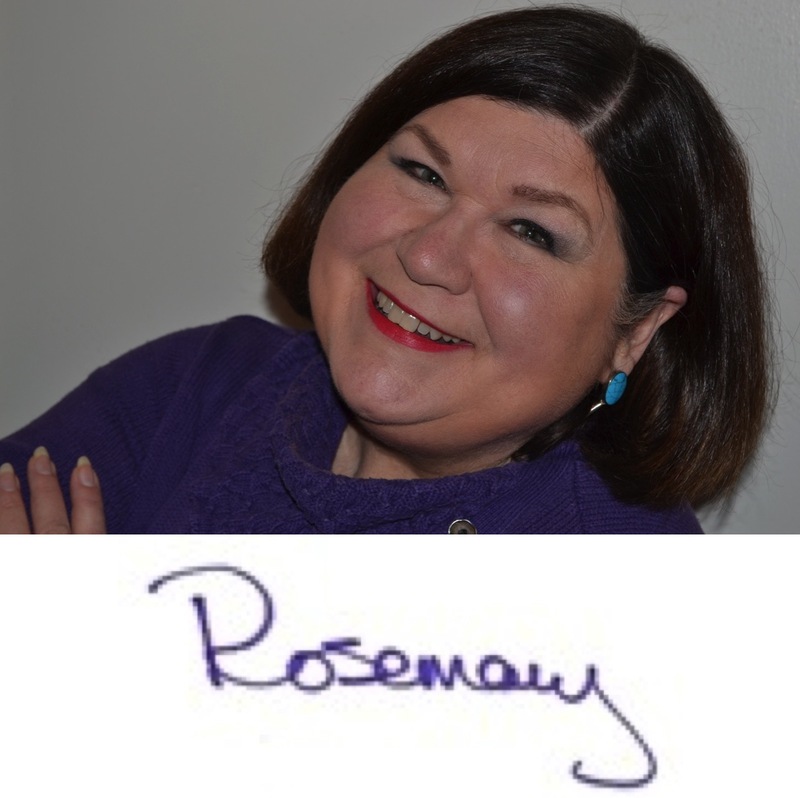 ROSEMARY’S INSPIRATION: Who are the Dream-Makers in Your Life? 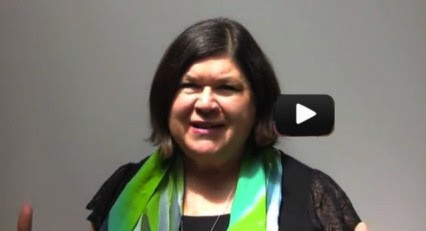 Rosemary’s “Two-Minute” Video for this Week: Who are the Dream-Makers in Your Life? I am an Enneagram Type 1. This type is sometimes labeled “The Perfectionist.” Anger is often the first emotional response of a Type 1 person. In the Chinese and Taoist approach to “labeling” people they offer a “five-element” system. I am predominantly a “wood-type” person. Anger is often the first emotional response of a Wood-type person. Yes, I have been known to feel and display anger. But what’s the knowing that can be revealed by these systems that point at me with the same label? My spiritual path coming out of this introspective approach and the tools I use for self-knowing is acceptance. As a perfectionist I need to accept the way things are. As I wood-type I need to learn to be flexible (like a tree bending with the wind). Acceptance, forgiveness, patience and letting go are the key words that I pull into me and work with toward resonance. And yet it is the only path home. What is, this natural state. And relaxing on this path home. There are options, nothing’s fixed. And knowing this is the path home. A FRIDAY POEM FROM “RHYTHMS AND CYCLES” – Two Wars? I prefer not to get involved in politics here on this blog, about the Goddess. But I went back in my archives a few years to find the following poem. It seems as relevant today as when I wrote it; in fact there seem to be more than two wars now. Do we really want to go back into Iraq? Do we know whose side we are on? I would rather be fighting the war against environmental destruction. I would rather honor than horrify the Goddess, Gaia, our Mother. But then I’m a dreamer. And, yes, this poem does seem to fit the Friday theme of “Rhythms and Cycles.” When will it end? The Defense Industry is out of control. Is there no stopping it? Humanity is out of control. Is there no stopping us? These wars are one war.